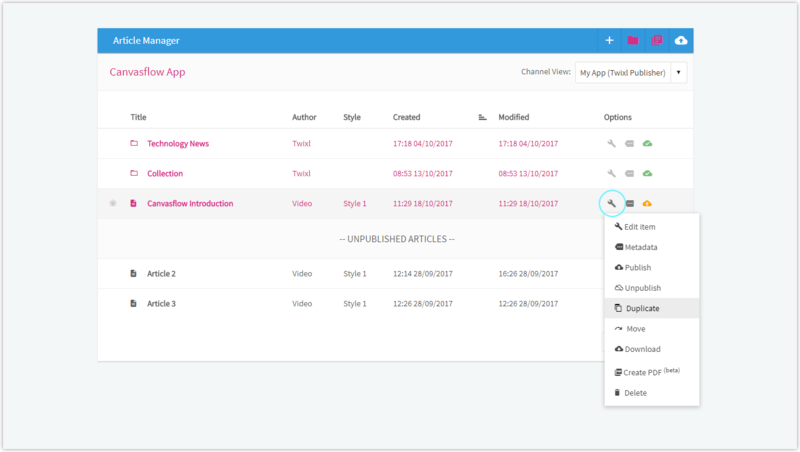 Each article has its own article settings menu which can be accessed clicking the spanner button. Click 'Confirm', the article will be duplicated with an amended title. 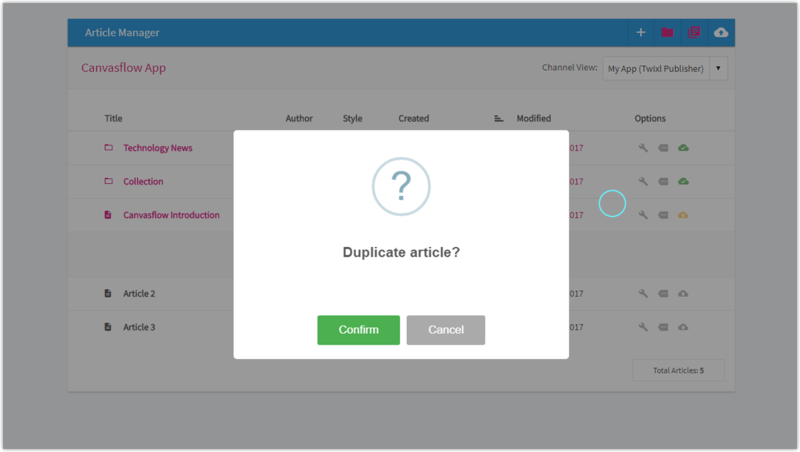 Duplicating content can be really useful for creating templates or example content pieces for those that are created often, such as a monthly feature pieces.